Disclosure: I received a copy of this book and a $10 Family Christian certificate in exchange for my review. All opinions expressed are honest and my own, and were in no way influenced by the book or certificate. Reading is something I really enjoy. It is a great stress reliever and it is a hobby that I have had since I was a child. I must admit, I got my love of reading from my mom and we often share books. I love reading historical romances and I am thrilled when I find one that has a good message behind it and does not have graphic love scenes. 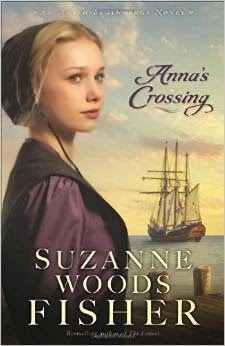 Recently, I received Anna's Crossing by Suzanne Woods Fisher, from Family Christian. About the book: When Anna König first meets Bairn, the Scottish ship carpenter of the Charming Nancy, their encounter is anything but pleasant. Anna is on the ship only to ensure the safe arrival of her loved ones to the New World. As delays, storms, illness, and diminishing provisions afflict crew and passengers alike, Bairn finds himself drawn to Anna's serene nature. 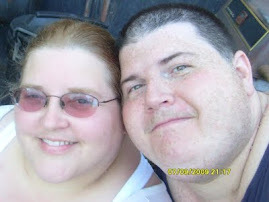 For her part, Anna can't seem to stay below deck and far away from the aloof ship's carpenter, despite warnings. The book is vividly detailed and I felt like I could actually visualize the conditions they were traveling in. The Charming Nancy was anything but charming! Reading books about the Amish is a big interest of mine. Their beliefs and the strength of their faith has peaked my interest, and Anna's Crossing certainly fit the bill! It is set in 1737 and it tells the story of Anna, an Amish woman, who leaves Germany for a trip to the new world. Anyone who is a fan of historic fiction will love this book! I had a hard time putting it down and when I gave it to my mom to read, she finished it in one day! Would you like this book? Simply enter on the rafflecopter form below and you could win a Family Christian appreciation certificate for $10 to purchase this book or anything else you want! (appreciation certificates may be used in stores or through customer service, and can only be used one per order. They have no cash value so you must use the whole certificate at once or you will lose the balance.)! Historical fiction has grown to be one of my favorite genres. This one looks good! Thanks for the review. Lately I've really been enjoying historical fiction. I just finished the book Esther: Royal Beauty and it is one of my new favorites!